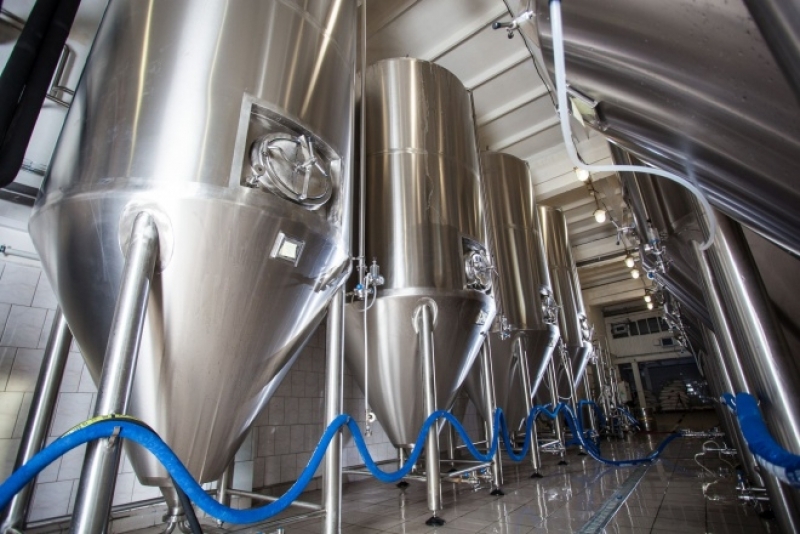 Turnkey manufacturing of breweries | PSS SVIDNÍK, a.s.
PSS SVIDNÍK, a.s., a manufacturer of food-processing equipment, is an expanding Slovak company that has been successfully operating on the market since 1972. In 1996, the Company restructured and transformed from a government-owned company to a joint stock company. Its products include meat processing machines, brewery equipment, custom manufacturing as well as pressure and non-pressure vessels. 90 % of production output is exported to countries in West and East Europe, Australia, East Africa as well as Central and North America. 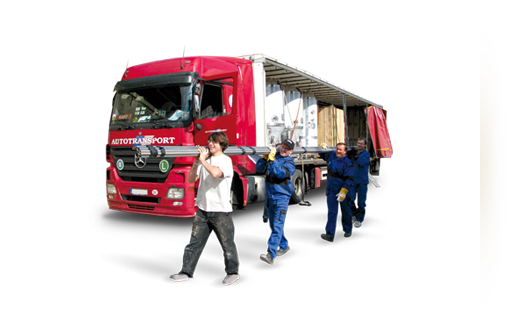 In 2004, the Company implemented a quality management system conforming to STN EN ISO 9001:2001. The Company’s existing staff is composed of 220 highly skilled professionals whose strengths rest in their creativity, knowledge, personal capabilities and communication skills. With a view to improving the qualifications and the individual potential of each of its employees, the Company has established its own training academy. Employing special administration technology, the Company created an organisation that has eliminated obstacles hampering its advance towards increasing productivity and expanding. The results of its continuous market, customer and competition monitoring show that our Company achieves consistent year-to-year growth, including on the global level. Further expansion of our Company is based on our assistance to our customers. 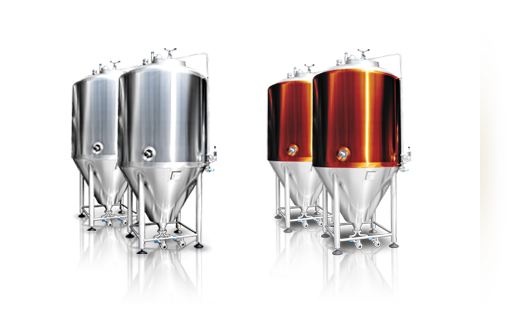 EUROTECH Classic is a compact, universal stainless steel system for brewing all types of beer, from light to lager. 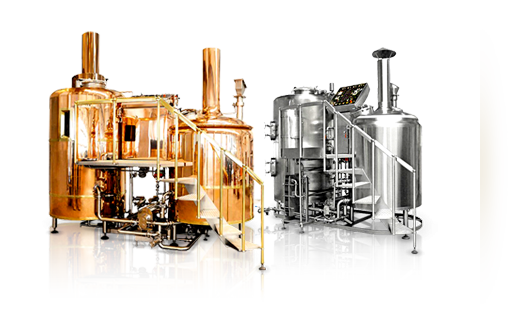 The brewery assembly consists of two main vessels, a frame, staircase, service platform, railing, control panel, wort cooler as well as mash, wort and hot water pumps, a mash agitator and rake arms. The different technological parts of the brewery are linked by stainless steel piping and all the necessary valves, servo drives, flow meters, safety valves, sight glasses, lighting, etc. are included. 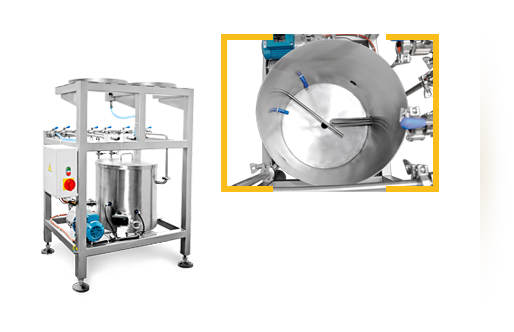 The system enables both infusion and decoction brewing methods and is intended for more demanding customers with an adequate initial budget. The system adds a lot of joy and never-ending creativity to your beer making. A EUROTECH Pub Brewery differs from the EUROTECH Classic type in that it allows only for the infusion brewing method and is intended for less demanding customers with a lower initial budget. 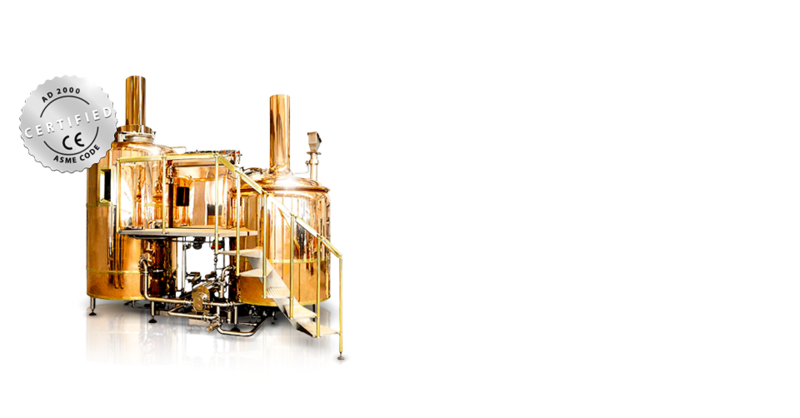 With this type of brewery, the mash process takes place in the lauter tun and the kettle serves as wort boiler. 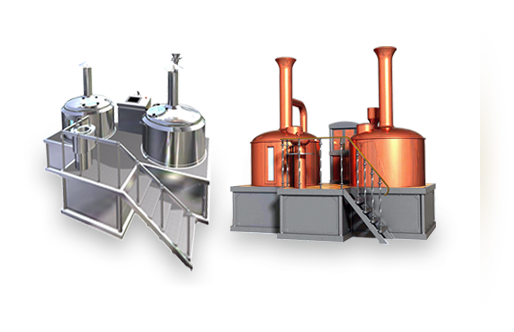 Both brewery types are identical as to their size. The new Eurotech Solid offers a unique and modern design that is based on the characteristic design elements of PSS SVIDNÍK, a.s. 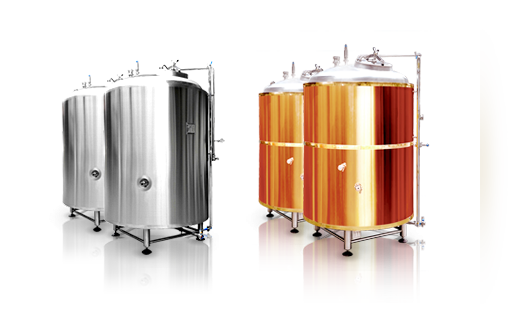 The brewhouse can be made out according to customer requirements in a stainless steel, copper or combined, stainless steel-copper version. This unique and sophisticated mechanism is characterized by space-saving design that is maximally adjusted to the current needs and meets the highest quality production criteria of different beer types. All hygienic, safety and technical regulations are met when working on this system. 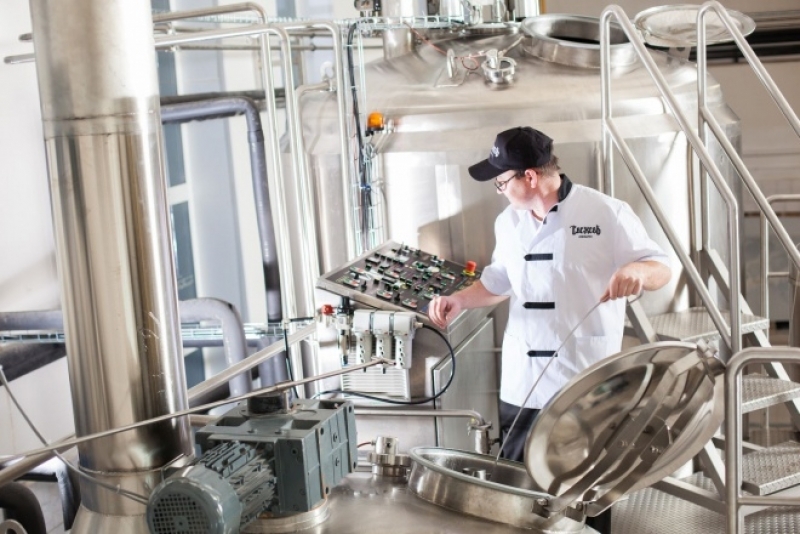 Individual technological elements of the brewhouse are built-in into the base of the brewhouse , where they are protected against any external damage. The device fits well into restaurants and pubs because of its pleasant design and easy operation. 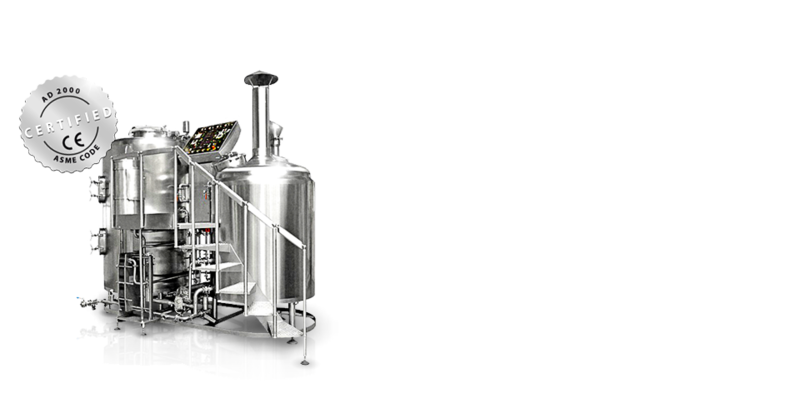 EUROTECH Micro brewhouse is a compact, universal stainless steel system for brewing all types of beer, from light to lager. 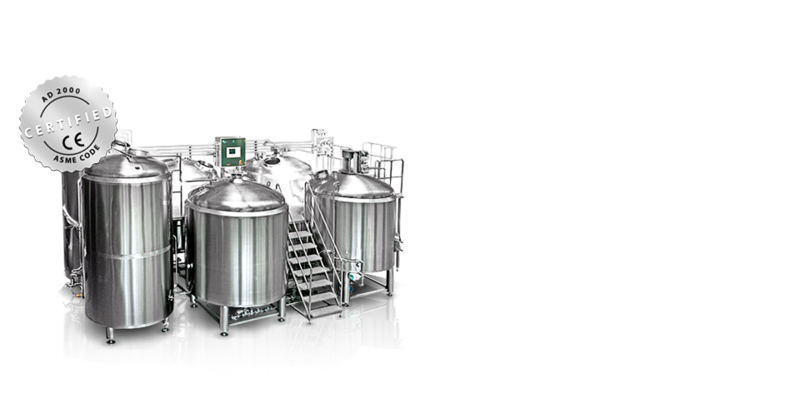 The brewhouse assembly consists of six main vessels,a frame, staircase, service platform, railing, control panel, wort cooler as well as mash, wort, cold and hot water pumps. 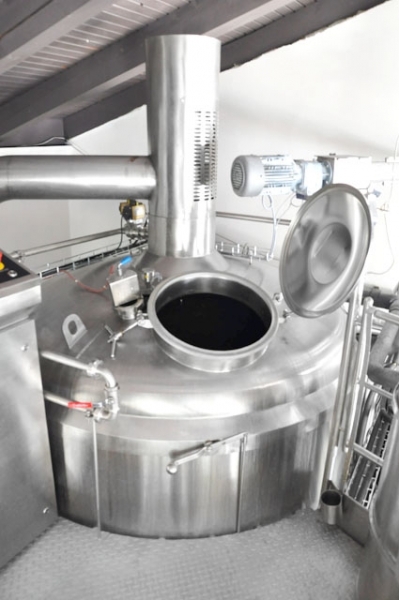 Different technological parts of the brewhouse are linked by stainless steel piping and all the necessary valves, servo drives, flow meters, safety valves, sight glasses, lighting, etc. 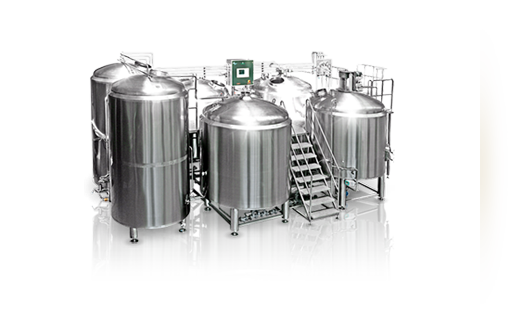 The system enables both infusion and decoction brewing methods; it is intended for demanding customers and for industrial beer making. Malt milling is carried out by means of a two or four-cylinder malt mill with an output depending on the brewhouse type, equipped at the input with a hopper with safety screen and a magnet to trap metal impurities, fitted directly on the malt grist container. It has a lever to adjust the distance between cylinders in order to obtain the required grain size and composition of the malt grist (husk 20-30 %, coarse semolina 5-10 %, fine semolina 40-60 %, flour powder 12-23 %). The malt grist container has a tilting lid in order to allow visual check of the processed materials. 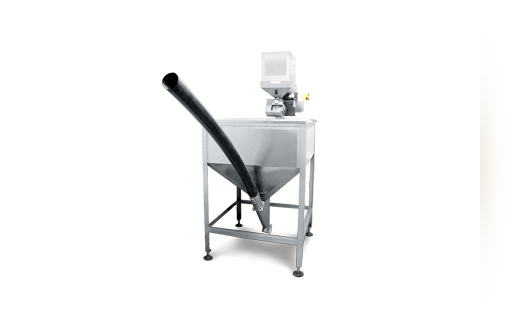 Its design assures dust-free operation of the entire machine. Steam piping connects the generator to the brewery vessel. It generates steam needed for heating and boiling. The generator is designed to supply 150°C steam at 4 bar, which provides a heating speed of 1 degree per minute. 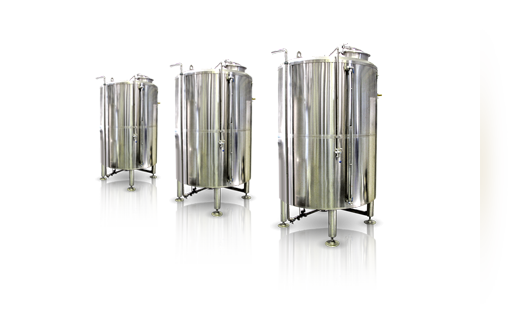 Cold water tank is a vertical, double-jacketed, cylindrical vessel, PU-insulated, with a flat lid and slightly tapered bottom, intended for preparation of ice-cold water for wort cooling. Water-cooling is facilitated by a glycol duplicator system fitted in the cylindrical section, controlled by a temperature sensor and a solenoid valve in the side section of the tank. Water is cooled to 2°C. A level gauge enables visual check of the water level. Water intake into the tank is controlled by a solenoid valve, which is actuated by a float level sensor. The tank has an overflow duct that also serves as a vent. Tank lid fittings include a circular inspection opening with a diameter of 450mm, a sanitation sprinkler head and handling eyelets for easy manipulation. The glycol-cooling unit is intended for cooling the fermentation tanks, cold-water tanks, yeast tanks and serving tanks. The unit comprises a base frame made from stainless steel I-sections, a glycol tank composed of a double-jacketed container and an insulated stainless steel lid, valves, cooling unit pumps and an electric control box. The glycol tank is filled with monopropylen glycol, diluted with water and rated to -10°C. Keg barrel washers and fillers are intended for internal washing and filling of keg barrels. 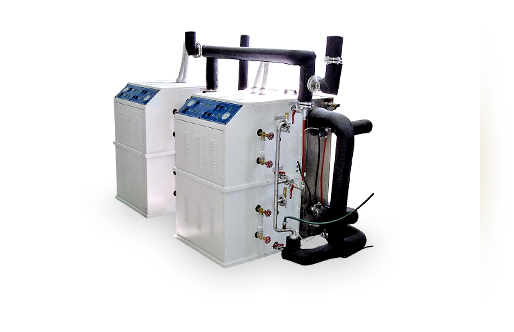 Keg washers and fillers are made according to customer's wishes in different versions that are fit for washing and filling different keg barrel types or other small containers. Their separate functions enable keg barrel washing and filling operations to be performed simultaneousl. We provide high-standard and prompt warrant and post-warranty service as well as assistance in the installation and commissioning of our products. 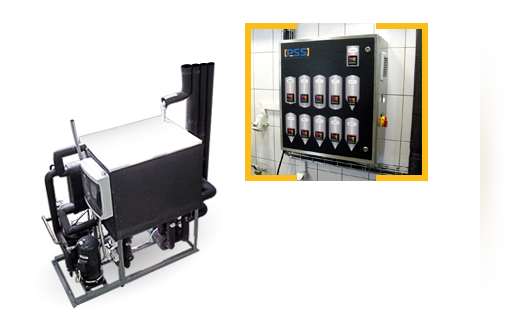 Beginning of year 2010 our company bought Brewery equipment Eurotech Micro 35 HL from company PSS SVIDNÍK, a.s.
Technically is this equipment on high level and we are very satisfied with his functionality. PSS SVIDNIK has many year experiences in building this systems what we saw on installation by PSS team of very skilled people. Installation itself was quick and very professional. We appreciate also very good approach of PSS employees by communication and helping us by realization our project. We want thank you for all and wish you many successful deals. We look forward to further cooperation with you. For another references and information, do not hesitate to contact us! 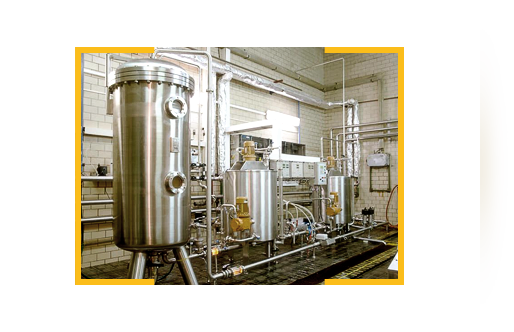 On 10th December 2011, 24 hl Eurotech Classic brewery manufactured by PSS Svidník, a.s., was installed and put into operation in our plant ″Bratislavský Meštiansky Pivovar″. The brewing technology proved good during 10-month operation. We are brewing approx. 2-3 times a week – 24 hl / brew. We have virtually no problems with the technology, and if there were small deficiencies after putting the device into operation, i.e. while making the first brews, PSS technicians removed it promptly and satisfactorily. 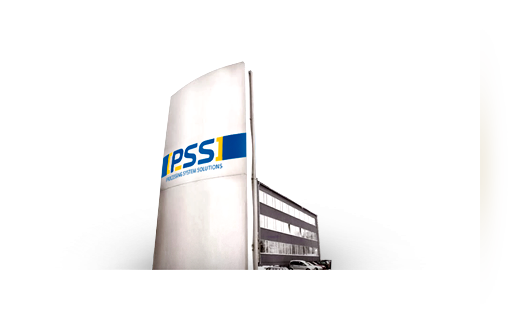 What I appreciate most in cooperation with PSS Svidník, a.s. is the approach of management and its employees to problems solving. I can compare this to the competing companies, whereas it is our second brewery we are running. 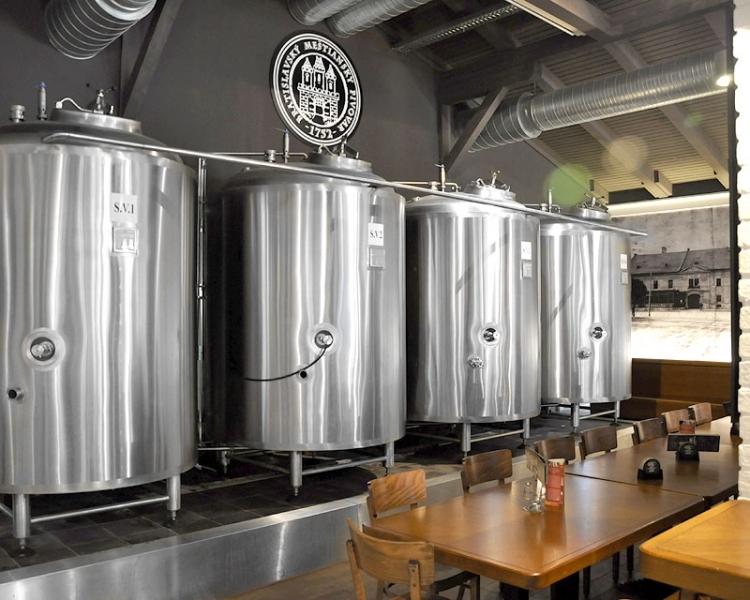 The first brewery from a Czech manufacturer was initiated at the beginning of 2010. After putting into operation, it showed a lot of deficiencies and the willingness from the manufacturer’s side to solve them was minimal. Workshop manufacturing of the brewery itself is also at much lower level than the brewery manufactured by PSS Svidník, a.s.. Our dissatisfaction is also reflected by the fact, that when doing the selection procedure for the second brewery, we even did not invite this Czech manufacturer for competition at all. In conclusion, I would like to point out that the technology of 24 hl Eurotech Classic brewery is able to produce a good quality beer, the result of which is our placing in the prestigious professional degustation competition – Slovak Beer Crown 2012, where we were awarded 2 gold and one bronze beer crown. By purchasing a complete brewery manufactured by PSS SVIDNÍK, a.s. (Slovakia) in 2013, our company implemented a new technological scheme of producing high-quality beer wort with the maximum output, resulting in a decrease in the cost of material resources. - Increase in the quality and further expansion of product assortment. Thanks to the new device, our beer is still distinctive and well-saturated with a unique flavor and light hops aromas. This allows each expert of live foamy beer to find a favorite type of beer. Any other live Omsk beer in barrels can not be compared with it in flavor and aroma. „Svegev“ - it is thirteen original kinds of live beer. Product quality has always been on the first place because there is nothing more valuable for a brewery than getting appreciation from customers.